Justin and I placed three food items on four different plates to see what happens to food when it is stored in the refrigerator compared to being left at room temperature. We also wanted to compare the difference between wrapping the food and leaving it unwrapped. 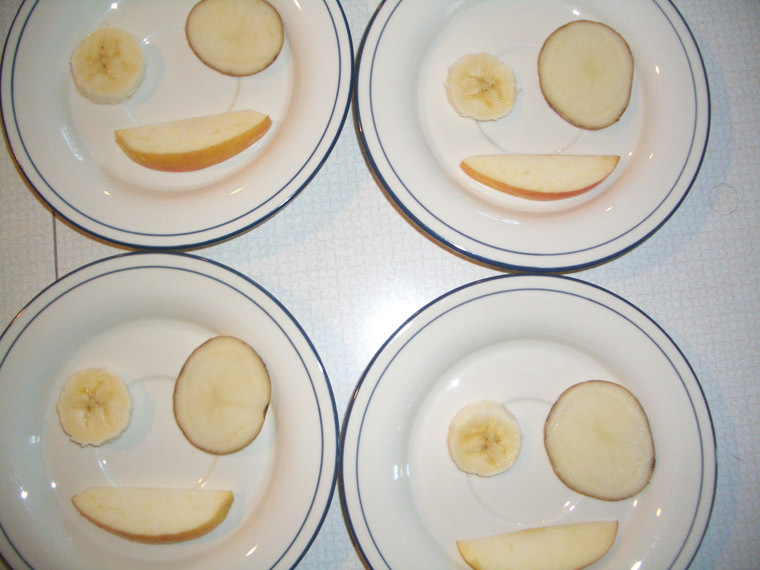 Each plate contains one slice of apple, one slice of potato, and one slice of banana. Two plates were covered with plastic wrap and two were left uncovered. 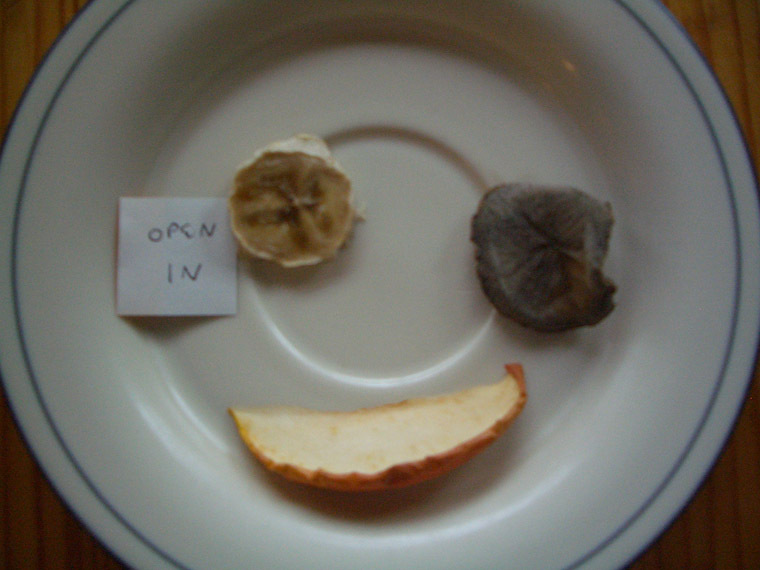 We placed an uncovered plate and a covered plate in the refrigerator, and left one of each on the counter. Every day at approximately the same time, we looked at all four plates and observed the changes which had happened since the previous day. We compared the plates to one another. 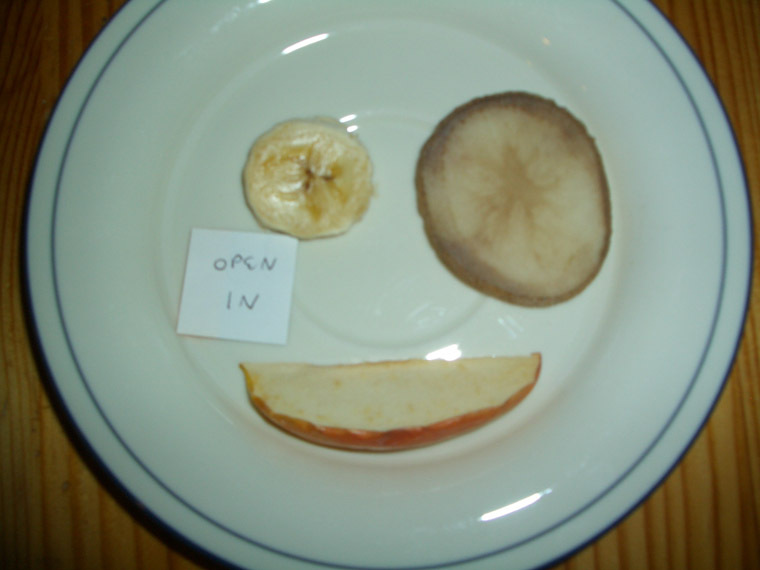 We took photos each day so we could compare them all at the end of the experiment. The first photo is the four plates on January 31 at the beginning of the experiment and a close look at a single plate. 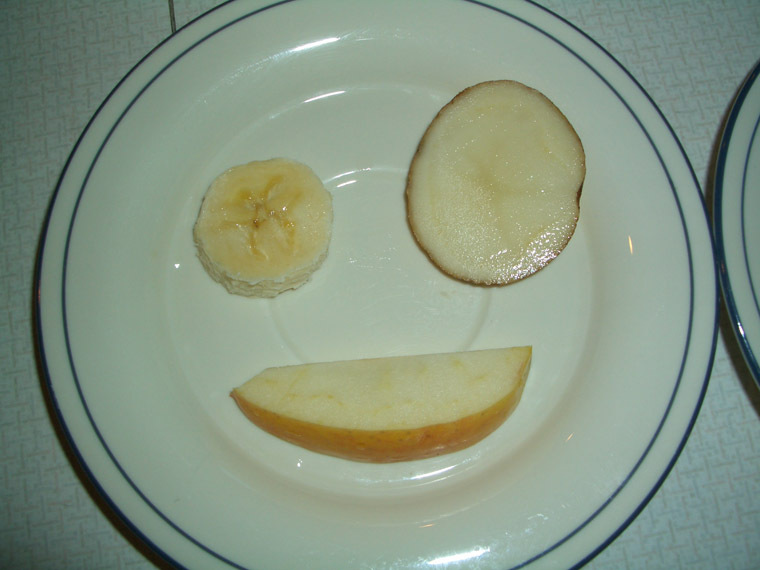 The remaining photos on this page are of the uncovered, refrigerated plate. 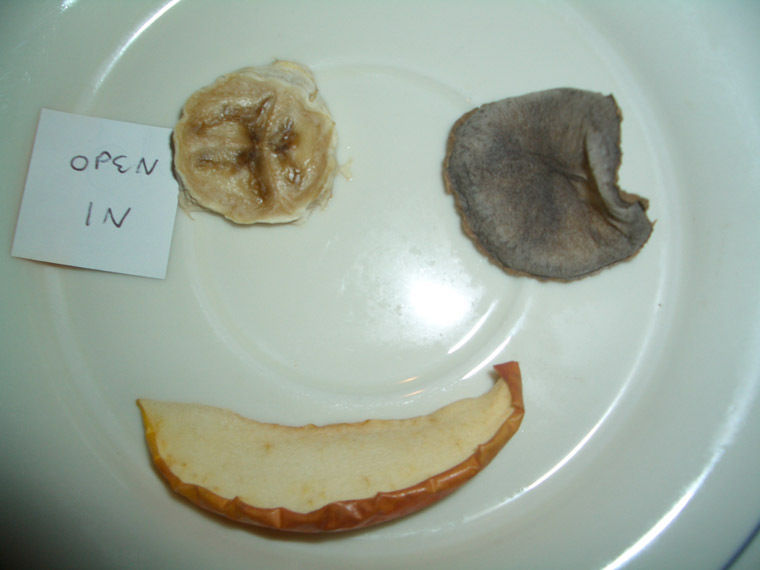 We observed that the apple skin was drying out and the potato's color had changed. 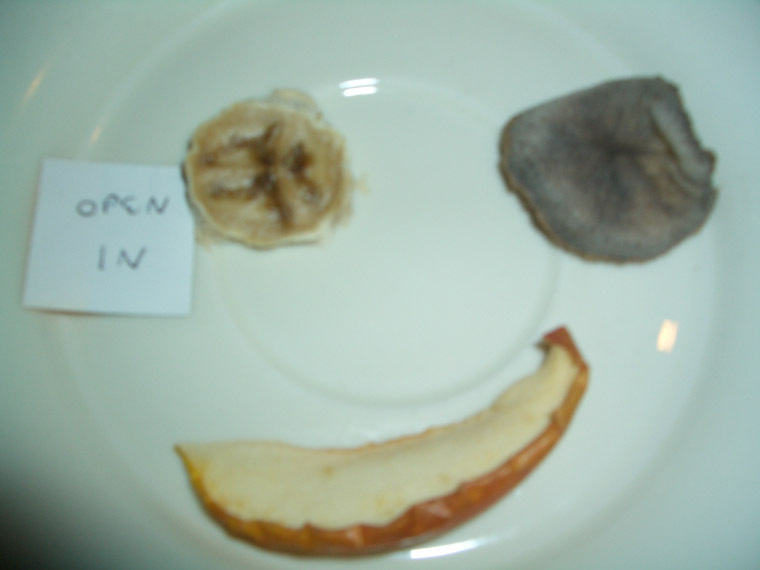 We observed the apple skin drying and curling, the banana getting browner, and the potato had gotten very dark. 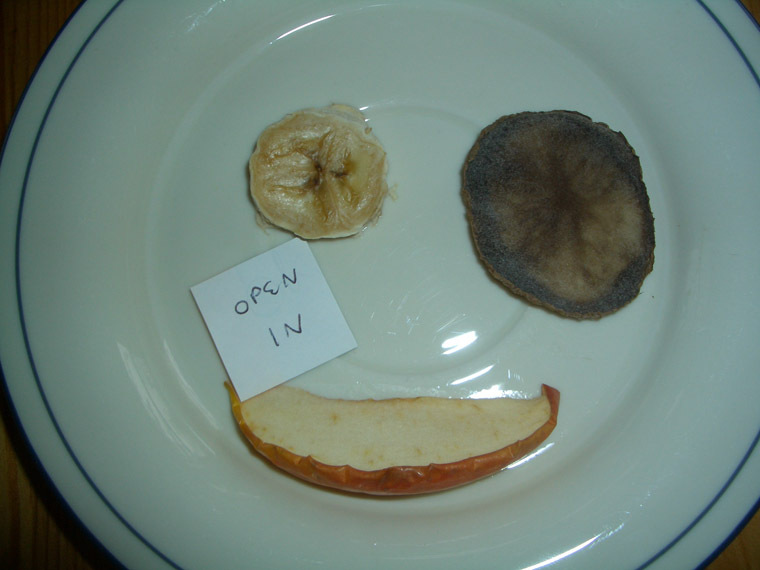 We observed more drying and curling of the apple, the banana darkening and getting dried out, and the potato looking pretty "gross." 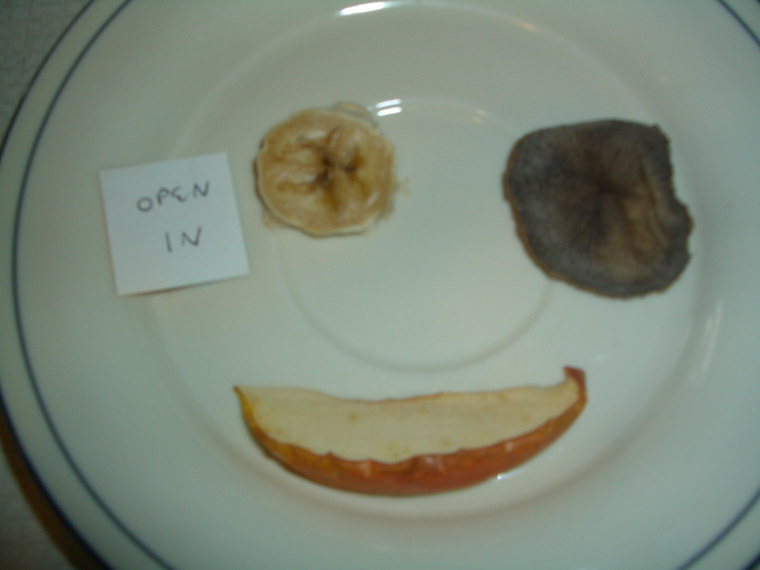 We observed the potato was drying and curling like the apple. 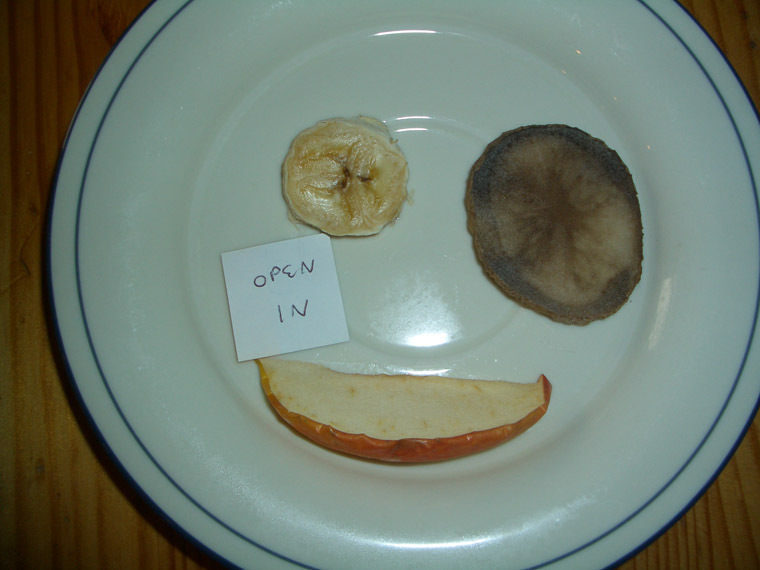 We observed more drying and curling. 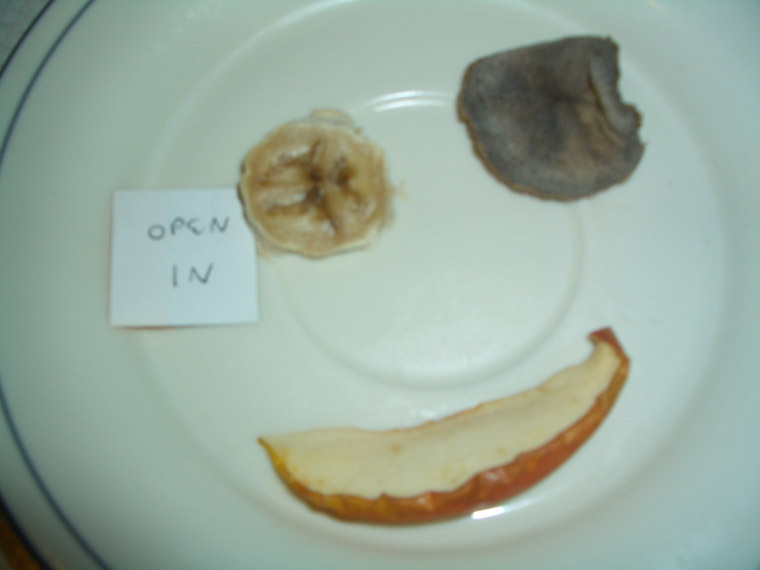 We observed that the apple and potato were dry and hard and the banana was partly dry and partly stuck to the plate.